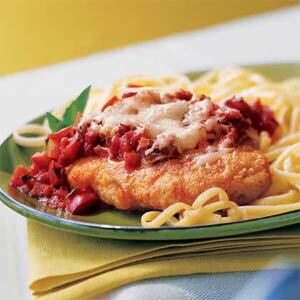 Chicken Parmesan makes a great meal any day of the week! It's easy, it's inexpensive, and it's delicious. Chicken Parmesan is one of my family's favorite meals. 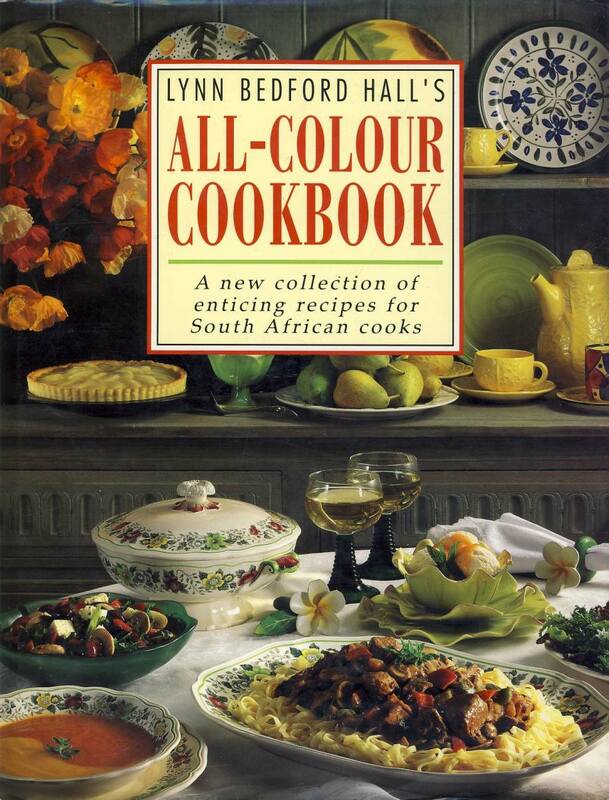 It's perfect if you're cooking a feast for the whole family, impressing the in-laws with your surprisingly good cooking skills, or creating a romantic dinner just for two. You could say this Chicken Parmesan is "just like Mom would have made," well, that's probably because it's her recipe. Shhh, Don't tell anyone! I couln't help it, this recipe is so good, it would be a crime to keep it to myself. 1. Preheat oven at 400 degrees F.
2. Clean chicken breasts and lay on a paper towel to dry. 3. Heat olive oil in a 12" skillet over medium heat. 4. Combine flour and pepper in a shallow dish. Cover chicken breasts with the flour mixture. 5. Whisk eggs in a separate dish until well beaten. 6. In a food processor, combine the Ritz crackers, 2 Tbsp. of Parmesan cheese, and 1 Tsp. Italian Seasonings. Pulse until finely ground. Place crumbs into a large zip-top bag. 7. Coat floured chicken breasts into egg-wash and immediately place in the zip-top bag. Close the bag and shake until chicken is completely breaded. 8. Place chicken breasts into the heated skillet. (Cooking time will vary depending upon the thickness of the chicken). 9. While the chicken is cooking, heat the spaghetti sauce, minced garlic, Parmesan cheese, and Italian seasonings in a saucepan. 10. 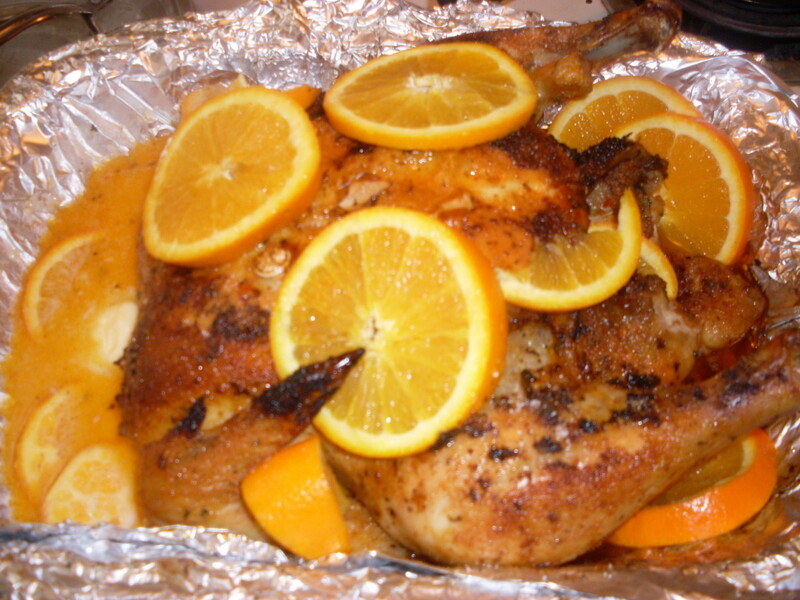 When the chicken breasts are golden brown on both sides, place them on a baking sheet. Pair the remaining sauce with cooked pasta for a complete meal! 11. 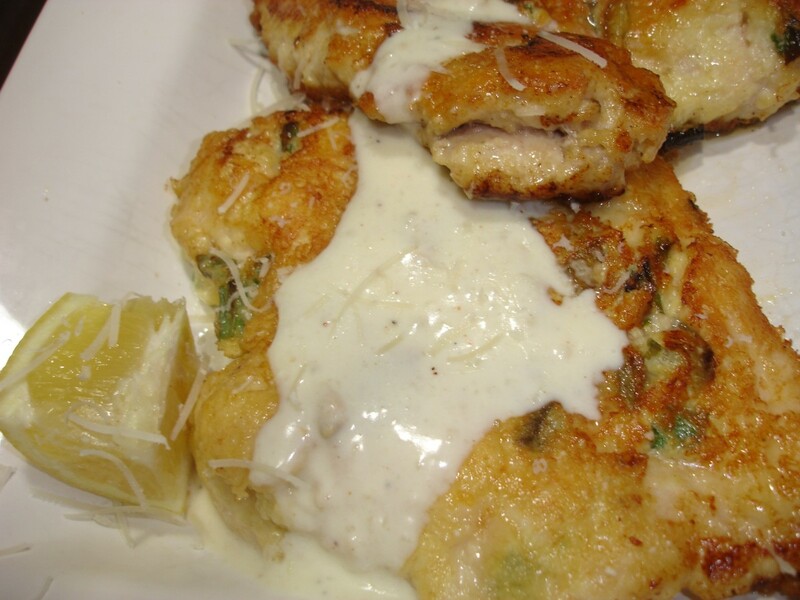 Cover the top of each chicken breast with a thin layer of sauce, followed by the mozzarella. 12. Place chicken in the oven for about 10 minutes or until the mozzerella is just starting to brown. Let cool and Enjoy! Try using Low-Sodium Ritz crackers or wheat breadcrumbs. This will greatly reduce the amount of salt in your Chicken Parmesan. Low-fat or reduced-fat cheese is a great way to decrease fat content. Make your own sauce. Store bought sauces are chock-full of preservatives and handfuls of salt and sugar your body doesn't need. Pair your Chicken Parmesan with whole wheat noodles, which are considered "good" carbohydrates rather than the unnatural highly-processed carbs which the body quickly turns into sugar. Sounds good and easy....guess what i'm cooking today! thanks for a great recipe! I tried this recipe and it was very good and successfully. This recipe sounds easy enough for me to try. Wow, That ust sunds absolutely delicious. I'll have to see if my wife would be willing to make it! Thanks for the information. I love chicken parmesan! This sounds really easy to do and I look forward to giving it a try.